Putin met with Head of Russian Direct Investment Fund. 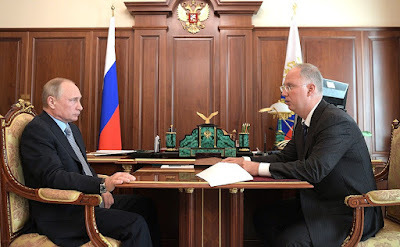 Putin.BLOG Investment Putin met with Head of Russian Direct Investment Fund. 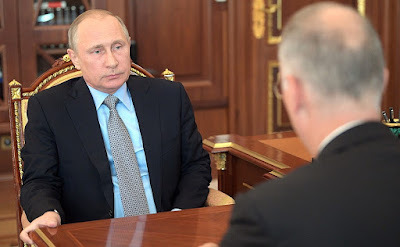 Vladimir Putin had a working meeting with Head of the Russian Direct Investment Fund (RDIF) Kirill Dmitriev, who briefed the President on the fund’s current efforts to attract investment into the Russian economy, including by involving the world’s biggest sovereign funds. Vladimir Putin at a meeting with Russian Direct Investment Fund CEO Kirill Dmitriev. The Russian Direct Investment Fund (RDIF) was established in 2011 on the initiative of the President and the Prime Minister. It is a sovereign investment fund making direct investment into leading Russian companies and promising business ventures together with top global investors. Mr. Dmitriev, how is your work getting on? 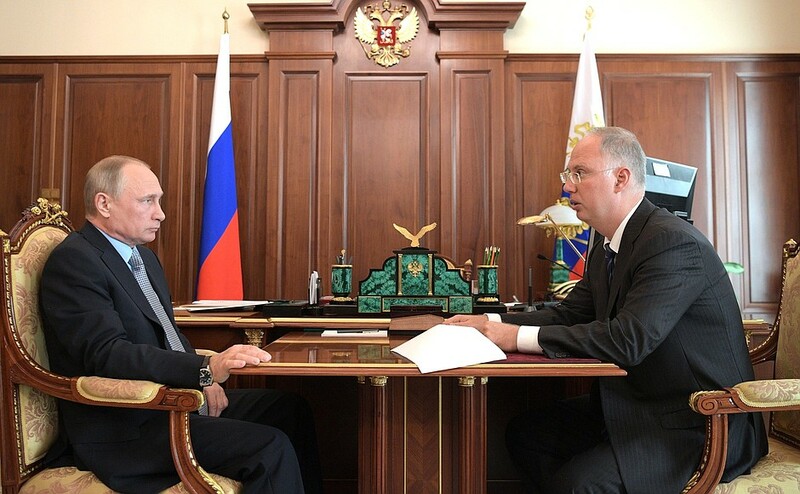 Meeting with Russian Direct Investment Fund CEO Kirill Dmitriev. Mr. President, thank you for helping to transform the RDIF into Russia’s sovereign fund. Since we began operation, we have invested over 1 trillion rubles in various Russian companies, including 100 billion from our own funds and 900 billion from our partners. More than 500,000 people work in the RDIF’s portfolio companies. The fund is thus growing fast. Over these past 12 months alone, we invested 270 billion rubles in various companies. The combined turnover of the RDIF companies now comes to more than 2 trillion rubles and has increased by 13 percent compared to the same period last year. Much of our investment goes into new projects, greenfield projects. We are also investing in Fosagro, Russian Helicopters, the Vladivostok and St. Petersburg airports, and oilfield service company Eurasia. Our investment and our companies are both showing active growth. For example, [health clinic chain] Mother and Child opened 20 new clinics. They were present in only three regions before, but now they have clinics in 15 regions. Our work is having a positive impact on Russia’s economy. For example, we are developing hydroelectric power stations in Karelia, building smart grids and reducing losses in the electricity grids by 20 percent. Are these small power stations? Yes, small power stations in Karelia. This is the BRICS bank’s first project and so the Saudis, Emiratis and Chinese are co-investors in this project. We are managing to attract 5–6 of the world’s top sovereign funds from different countries into various projects. 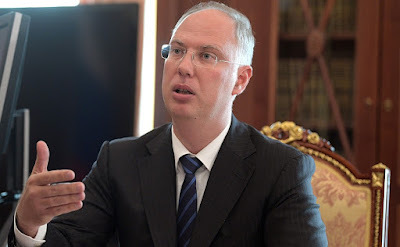 Russian Direct Investment Fund CEO Kirill Dmitriev. Finally, we have more than 30 projects with the United Arab Emirates, and Saudi Arabia is an active investor as well. As for our Chinese partners, we have already completed more than 19 projects with them. How many specialists do you have working directly at the RDIF now? What administrative benefits have come out of the fund’s transformation into a sovereign fund? It has become much easier to work with our partners, who are the world’s biggest sovereign funds. We see now that we can undertake projects on a much greater scale and attract considerably more investment. Now, for example, we already have $30 billion from the leading sovereign funds. We think this figure can be increased. What do you think is most interesting among your upcoming plans? Where will you be investing next, in which projects? In infrastructure, for the most part. 0 Comment to "Putin met with Head of Russian Direct Investment Fund."